Ponderosa pines at Bow Point Nursery. Ken Wright photo. Not all trees species are created equally when it comes to Red Deer weather and growing conditions. The following is a list of my favourites. 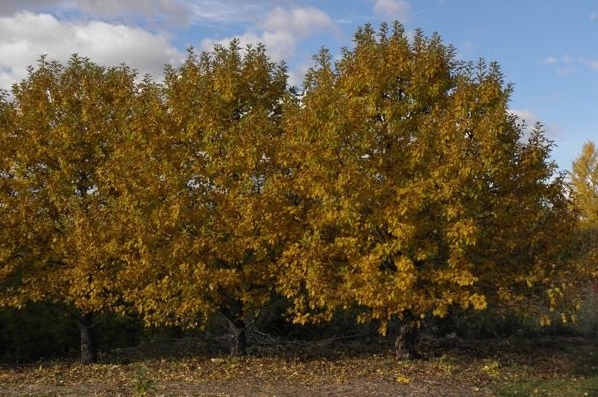 They are tough, hardy, insect and disease resistant, and great trees to have in the landscape. And while I can’t guarantee these will grow well for you, they represent some of the best bets in the Red Deer area. 1. Scots Pine (Pinus sylvestris) – Hardy, maintenance free, likes full sun, interesting orange bark. Great natural form. 2. Trembling Aspen (Populus tremuloides) – You can’t get any tougher than this. Healthy specimens are among the nicest compact shade trees. They can withstand a myriad of insect and disease problems. 4. ‘Paskapoo’ Poplar (Populus balsamifera ‘Paskapoo’) – Very nice, compact shade tree for the smaller yard. Supremely drought tolerant, insect and disease resistant. Available at Bow Point Nursery in Calgary. 5. Ponderosa Pine (Pinus ponderosa) – Hardy, maintenance free, likes full sun, beautiful form. 6. 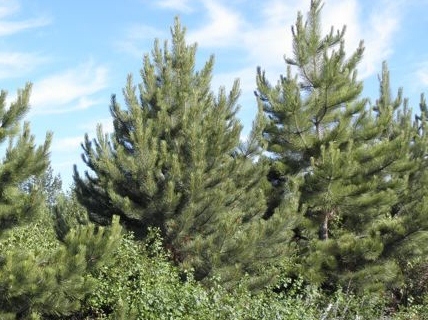 Lodgepole Pine (Pinus contorta) – Our provincial tree. How can you go wrong? 7. ‘Spring Snow’ Crabapple (Malus x ‘Spring Snow’) – This tree was introduced to the Prairies in the 1960’s and I just discovered it a few years ago. Beautiful white flowers in the spring, but NO crabapples. The flowers are sterile. Great backyard tree without the mess of a typical crab. You can buy this at one of the local nurseries in Red Deer but you’ll likely have to order it in the Spring. 8. American Elm (Ulmus americana) – Supremely hardy shade tree with beautiful vase shape. I prefer the ‘Patmore’ elm because it has a very upright form and we can use it in smaller yards. So long as Alberta doesn’t get DED, elms are still a great choice. Be careful where you buy your trees. Do not buy from nurseries south of Red Deer, as the stock is likely infested with European Elm Scale insects. 9. Silver-leaf Willow (Salix alba sibirica) – I didn’t know what this tree was when I moved to Red Deer, because I haven’t seen many farther south. This is an excellent, weeping form of willow, with silvery-green foliage, and a very fast growth rate. It will require proper annual training to make sure it develops a strong form. The mature trees are about 30′ tall and 30′ wide. 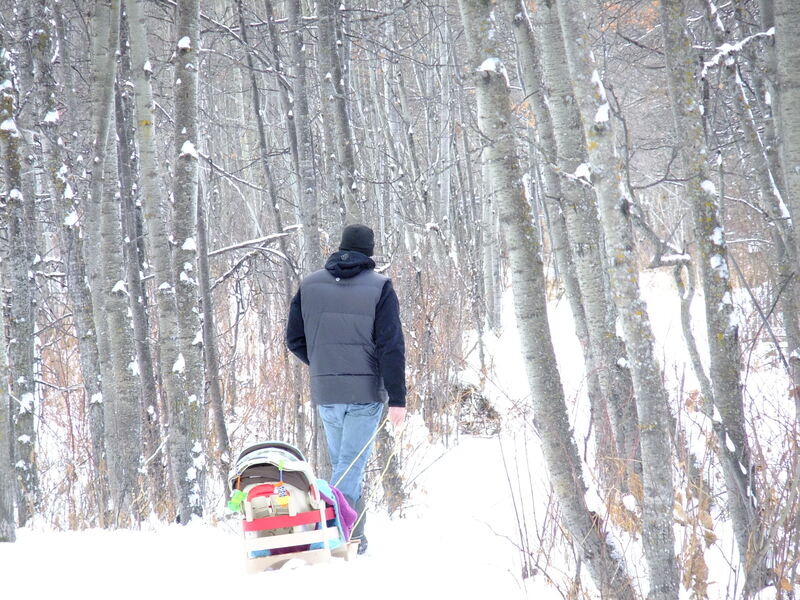 Very attractive for large yards, parks, and acreages. 10. Siberian Larch (Larix sibirica) – If you’ve got the space, this is a great tree. Its very hardy, drought tolerant, insect & disease resistant, long-lived, and has excellent fall colour. Cedar/Arborvitae (Thuja occidentalis) – I never paid much attention to this tree, thinking of it mainly as an overgrown shrub. But I was wrong. This is a great tree for Red Deer north, especially in the shadier areas where other trees are tougher to get started. Hardy and long-lived. I love it.